Look at an urban scene through the eyes of a skater and you’ll see infinite possibilities: ramps, curves, bowls and level surfaces that are crying out for interaction, offering an experience that goes far beyond practicalities and aesthetic concerns. Architects and city officials don’t exactly see it the same way – but on rare occasions, the two viewpoints meet, either intentionally or coincidentally. 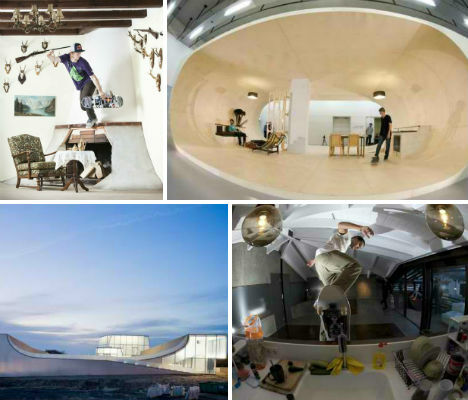 Some of these 13 extremely skateable structures, from residential interiors to museum rooftops, were actually designed with skateboarding in mind; others just happen to echo the look and feel of a skate park. 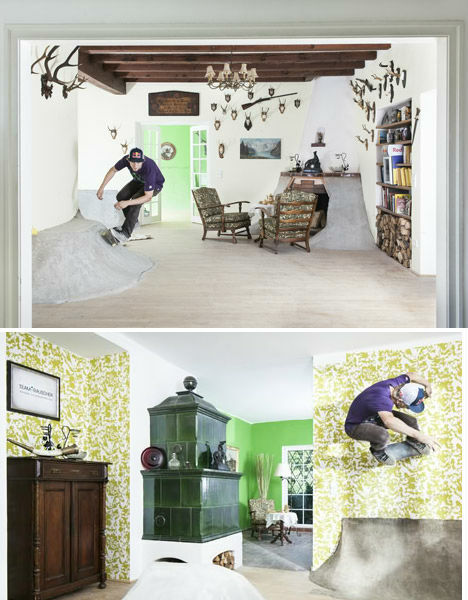 A deteriorating hunting lodge in the woods of Salzburg, Austria, was transformed into an indoor skate park with a few tons of concrete. 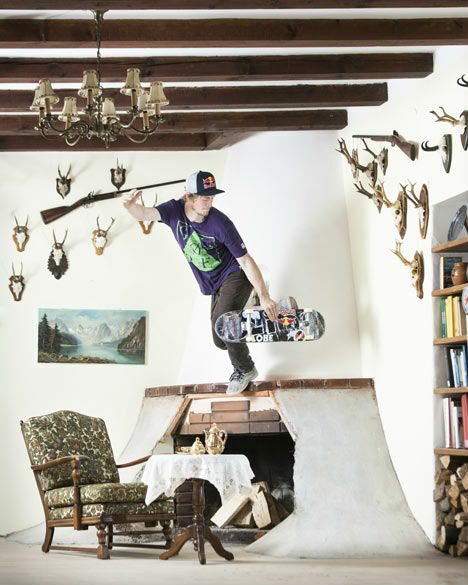 Professional skateboarder Philipp Schuster pulled off what might be one of the coolest transformations of an abandoned space with ‘Skate Villa’, a house that has retained its original character thanks to lots of antlers, nature scenes, rifles and rustic furniture. It’s no accident that the Oslo Opera House in Norway, by Snohetta architects, looks so eminently skateable. 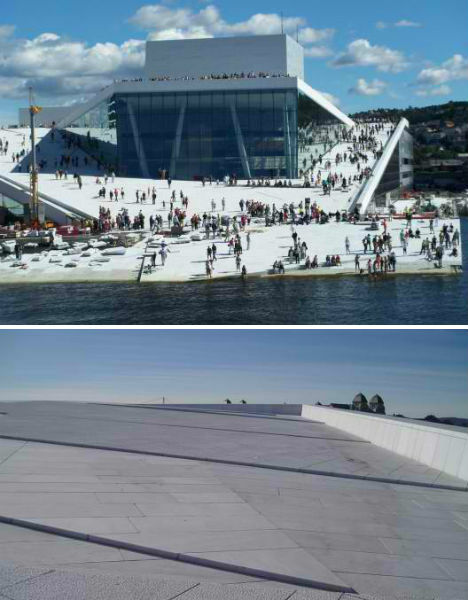 The design of the building invites not just pedestrians to ascend the roofline all the way to the top for a view of the fjord and the city on the shore, but skateboarders as well. 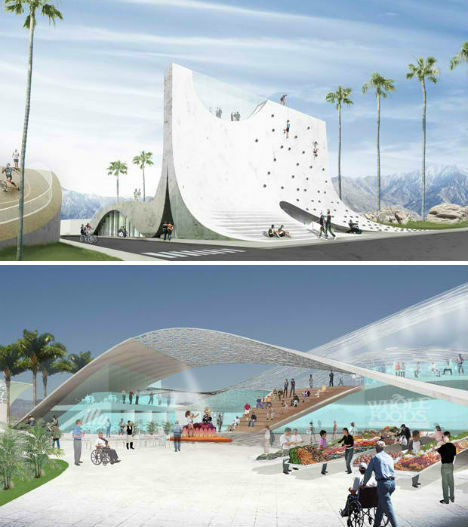 The design of the building was actually inspired by the image of two glaciers colliding, but the architects enlisted the help of skateboarders to create the optimal conditions for a smooth ride. “We spoke to them about surface textures and the areas they prefer,” says architect Simon Ewings. 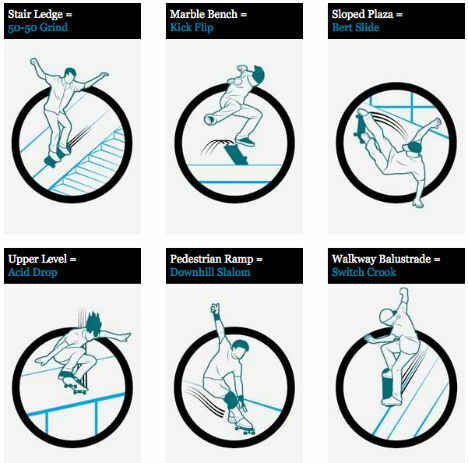 The opera house even has a list of its most skateable features, and recommended moves. 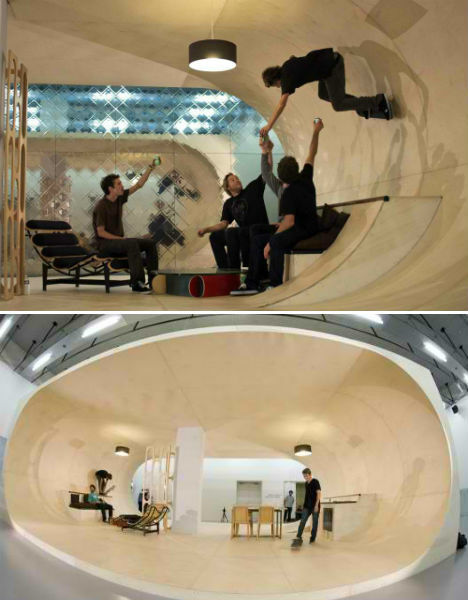 Another ideal home in which to live and skate, the PAS house features a curving interior that essentially forms a 10-foot-diameter tube. Constructed in Malibu, the house includes a living room, dining room and kitchen along with a bedroom, bathroom and skateboard practice area. 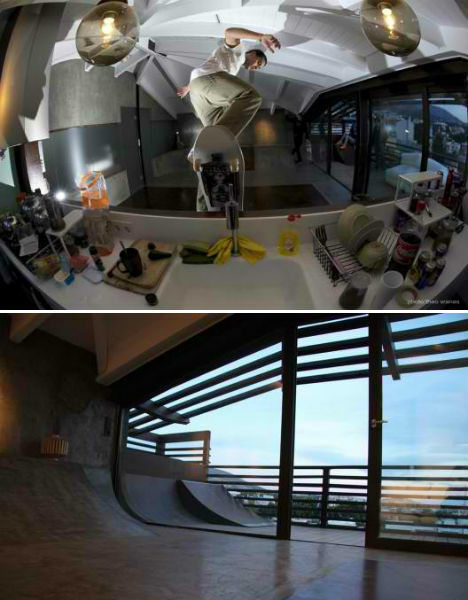 The furniture is also skateable, as well as virtually all of the exterior. 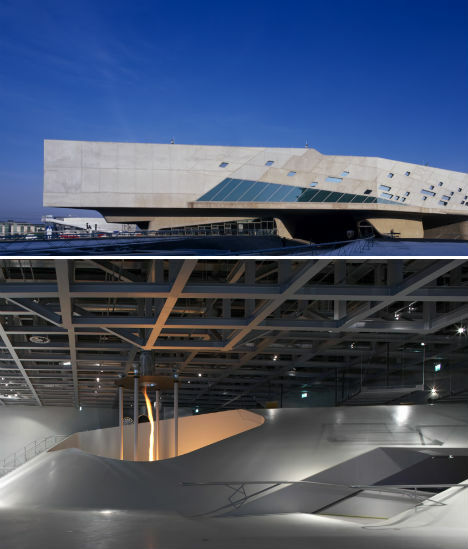 Of this science center in Wolfsburg, Germany, architect Zaha Hadid says “Described variously as ‘an architectural adventure playground’ and ‘the magic box’, Phaeno realizes our continuing vision of creating ‘complex, dynamic and fluid spaces’ – from the gently undulating artificial hills and valleys created below the main elevated structure, to the crater-like museum floor, naturally lit spaces and accessible funnels within.” Hadid wanted the center to be a venue for both pedestrians and skateboarders, but liability issues prevented it from being designated as a skate park. 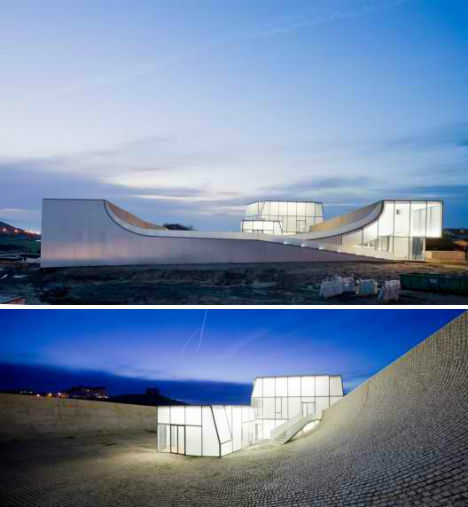 Steven Holl’s Museum of Ocean and Surf in Biarritz, France basically looks like one big half pipe – and in fact, it basically is. 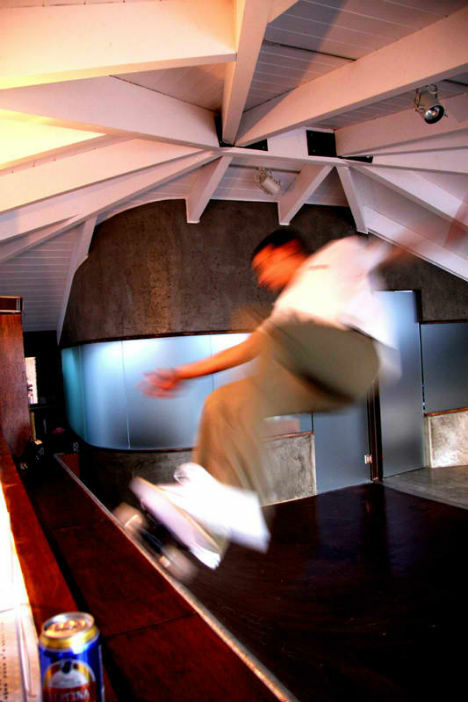 The building’s exterior has an integrated skate bowl. Too bad most of the curves on this beautiful structure are paved with a rough material that’s not too conducive to actual skating. This single-family house in the suburbs of Madrid, Spain almost looks like somebody took apart a bunch of skate ramps and used them to build a residence. The purpose of these curving walls is actually to capture and direct rainwater into a shallow reflecting pool lined with white rocks. So the exterior of the Vodafone headquarters isn’t really skateable unless you’re willing to enjoy a single wild ride down one of the walls before crashing to your death. 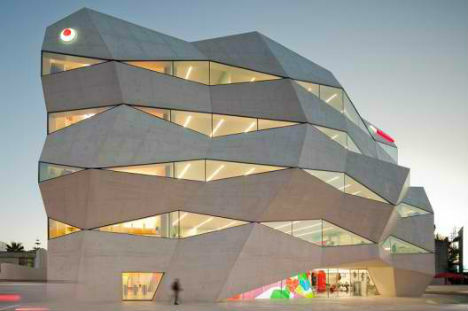 But the wide, slanted planes of the architecture, designed by Barbosa Guimaraes, is reminiscent of a skate park. 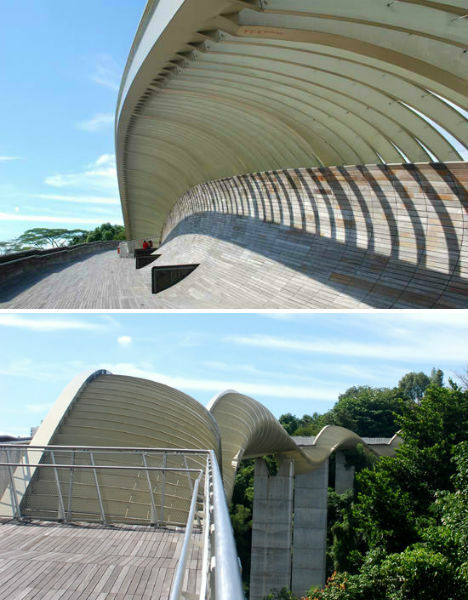 Any skateboarder taking a stroll down the incredible Henderson Waves Bridge in Singapore by RSP Architects couldn’t help but be distracted by thoughts of how fun it would be to zoom along those curves on a board. Of course, those wooden planks wouldn’t be the greatest surface to skate on, but one can dream. 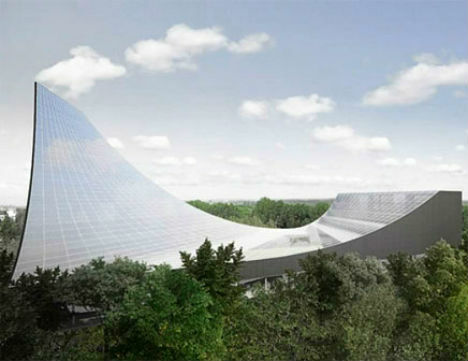 Though just a proposal and not set to ever actually be constructed, this design for the Bouwkunde building at the Delft University of Technology – which burned down in 2008 – is another structure that calls out to adventurous skateboarders looking to move from local skate parks to something more challenging. 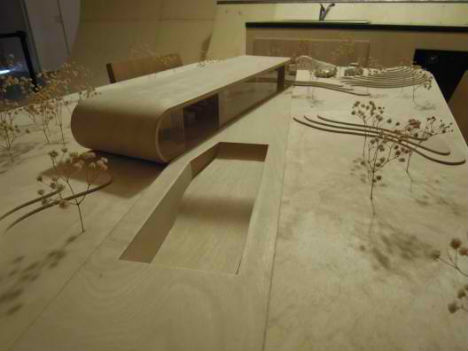 Had it been chosen as a final design, the building wouldn’t have really been functional for skating in any way: the roof was set to be covered in solar panels. 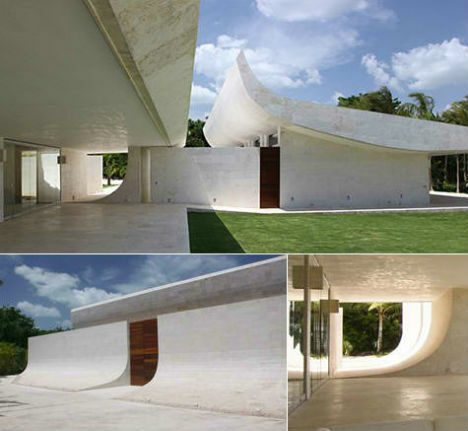 As the site Skate and Annoy puts it, this residence in the Dominican Republic is just ‘waiting for wheel marks’. Is this the world’s most welcoming parking garage for skateboarders? 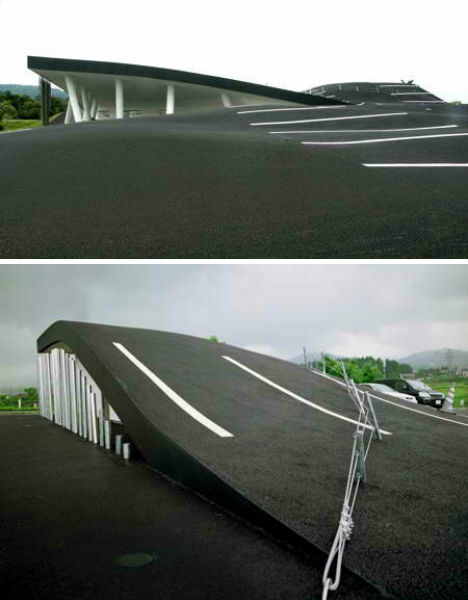 Asphalt Spot is a strange structure indeed, given that it’s a paved parking lot in the middle of nowhere, Japan. Constructed in 2003, the lot has odd ripples and a section that lifts up off the ground; it’s more an art piece designed to attract visitors to this rural area than a functioning parking lot. Since the earthquake in 2011, however, the lot may have taken on a new connotation. This planned retirement community for the LGBT community in Palm Springs, California seems more likely to attract a bunch of young and adventurous skaters, climbers and other sports enthusiasts than arthritic elders. 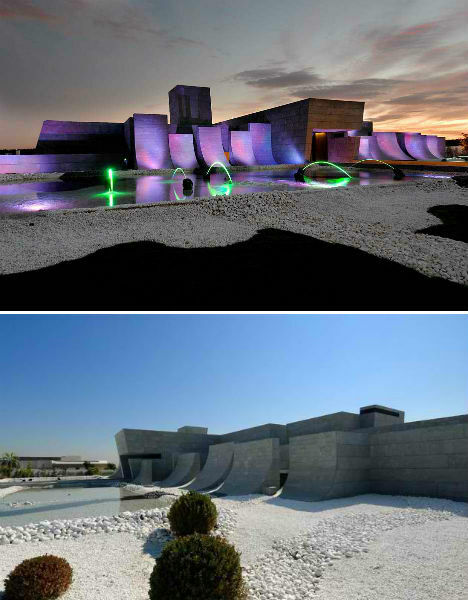 Called ‘Boom’, the community will cater to outdoor living with a massive concrete climbing wall and skate ramp.